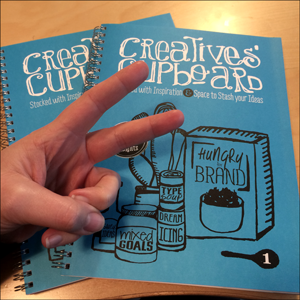 Creatives’ Cupboard first began as a free blog where I shared my insights on the creative profession as well as interviews of other creatives’ I found inspiring. This project has been over three years in the making and with the support of so many people I am really thrilled with the new site. Respecting that I am a lover of print design, and I have no love of web design, I opted to hire a creative who did. I was introduced to Jill Anderson, of Jill Lynn Design, through an online creatives accountability group (Designers Roundtable). I became a fan of her work, where she works with creatives, to make fabulous creatively designed wordpress sites. 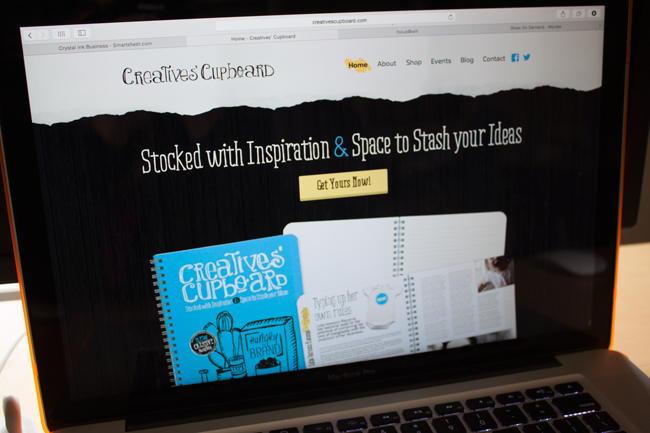 The look of the site is based on the design of the myNote Creatives’ Cupboard publication. I had sent Jill a copy and she pretty much took the spin and I loved where it has landed. Collaborating with someone on a project who “gets you” is key, as well as putting faith into their skill. I have a tonne of creative ideas to bring into the site, and started a few of them, then scaled back after realizing how much work needed to be invested to do things well. The goal was and has been to create a site that could be a resource and “community” for fellow creatives’. The more we all realize that the work we do, makes an significant impact, the more we will not only value ourselves, but the work of others too. The “store” portion of the site is simple at this point, offering the two products created so far in the myProduct category. The magic of the myNote is apparent when held in your hand. Order yours today. Great job on the new site Crystal! Thanks Geoffrey! You should try and make it out to a Creatives’ Lunch sometime soon! Check out the events page for details!